Brief Synopsis – A German Zeppelin, which was the biggest of its kind sets off across the Atlantic Ocean filled with a group of very diverse passengers. 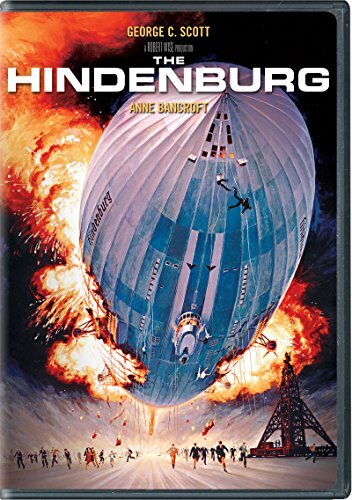 My Take on it – This is a film that I’ve had some interest in seeing for quite some time because I had hopes that they would be able to show a nice disaster film about the real life disaster/tragedy of the Hindenburg destruction in the 1930’s. Unfortunately, they don’t present this film very well and it fails to be interesting on any level. The fact that they try and show that it was possibly due to a terrorist plot that the Zeppelin caught fire instead of as a pure accident hurt making it feel genuine and realistic enough. They make it very difficult to care about any of the characters the way things are presented and in some ways this feel more like the Love Boat than a disaster film. As with most of the disaster films of the 70’s, this film has a superb cast but most of them have little to nothing to actually do and they seem quite wasted except when needed to scream and run around hysterical. George C. Scott was a great actor, but even he is miscast in the lead role because he isn’t able to keep his character’s investigation interesting because the mystery they present is quite tame and simple. This hurts any kind of impact that this film could truly have. Bottom Line – Really poor disaster film that isn’t interesting at all. The added fabrication of a terrorist plot instead of an accident causing the destruction of this famous Zeppelin doesn’t help because it’s very difficult to care about the characters by the way things are presented. As with most disaster films of the 70’s this movie has a great cast, but most are wasted here and don’t manage to do much besides scream and run. Even Scott in the lead role doesn’t manage to keep things intriguing because the mystery is presented quite poorly which hurts the enjoyment of this story.